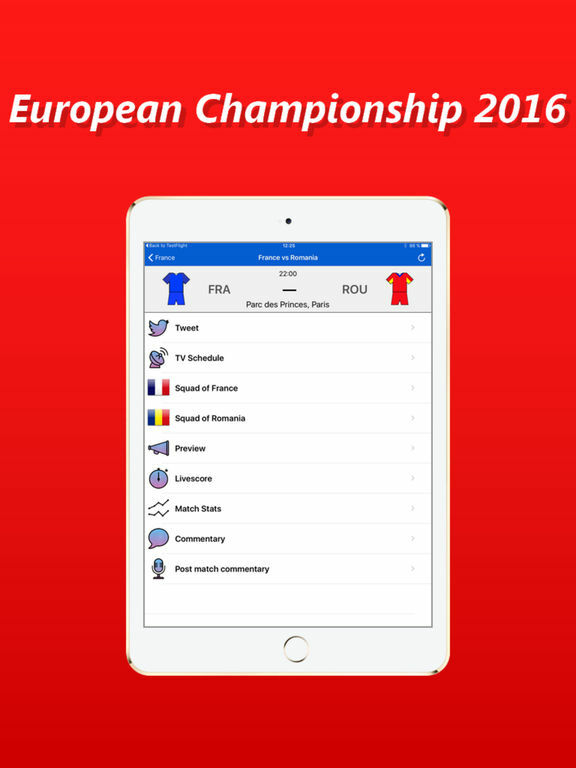 European Championship History 2016 - is an application about EURO 2016. 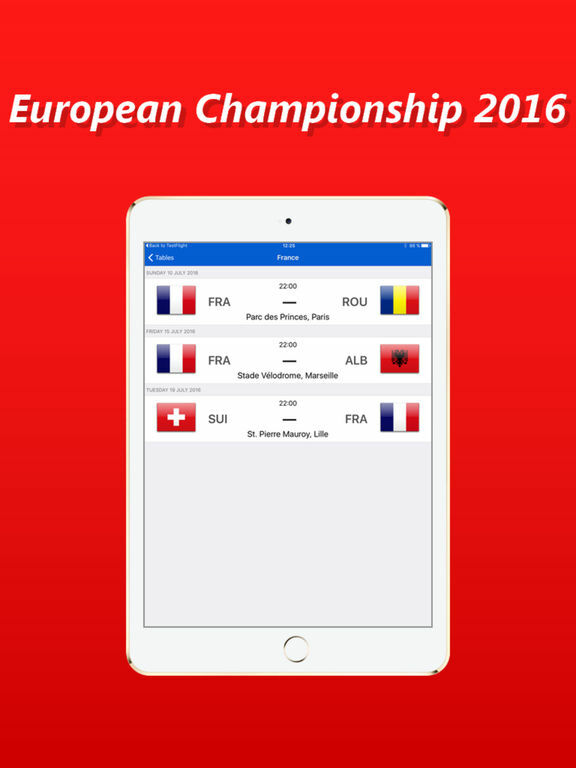 With this application you are able to watch the events in EURO 2016 in real time. You also get instantaneous access to the Tournament table, Schedule, Teams, Events in matches, News, Statistics and Video (Matches, Reviews, Goals). 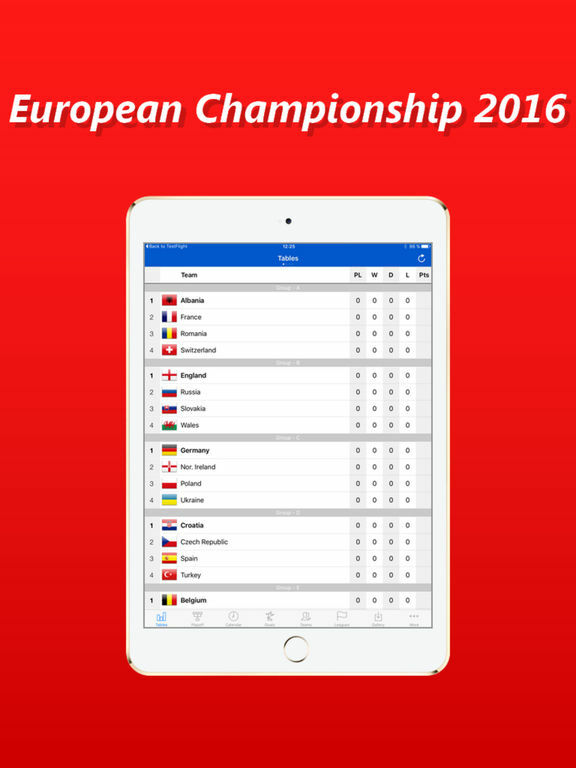 Here you can find full information about teams of EURO 2016 - current list of players with their personal information and photo, historical information, form and symbolics, texts and music of anthems,etc.